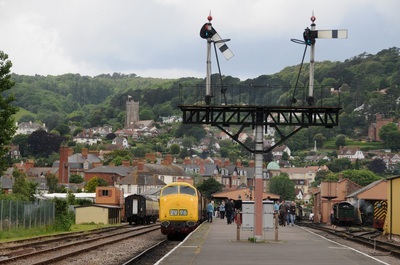 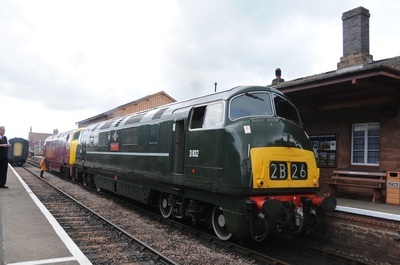 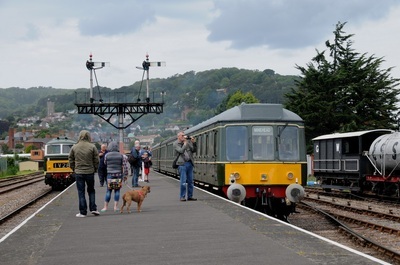 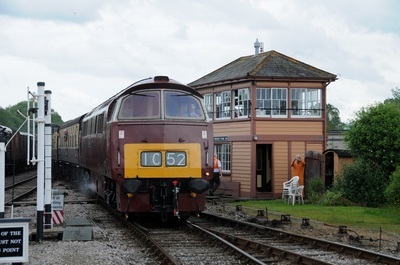 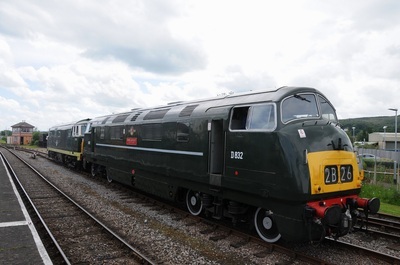 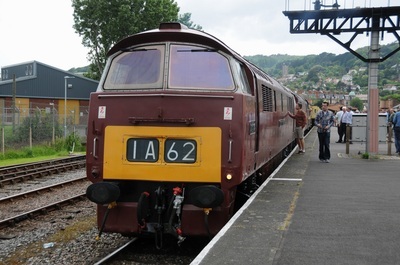 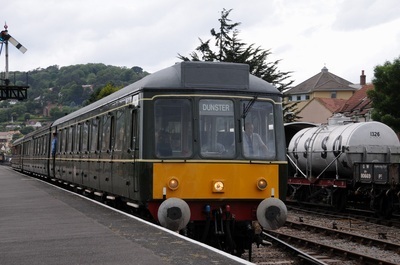 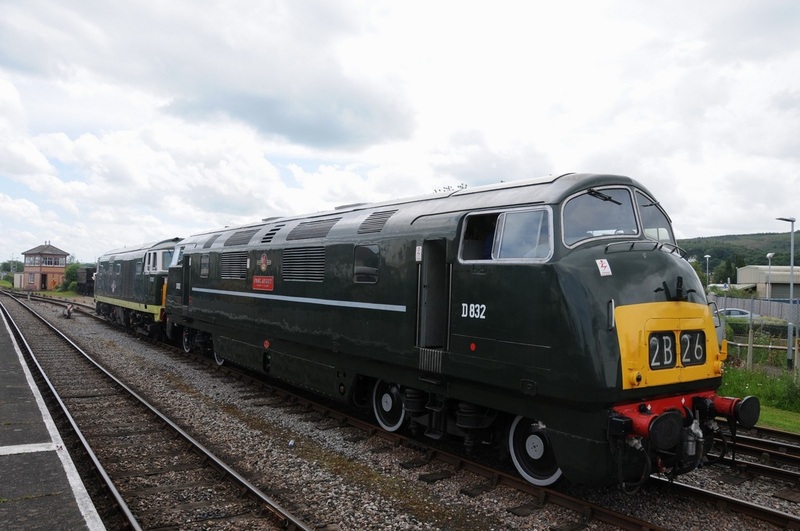 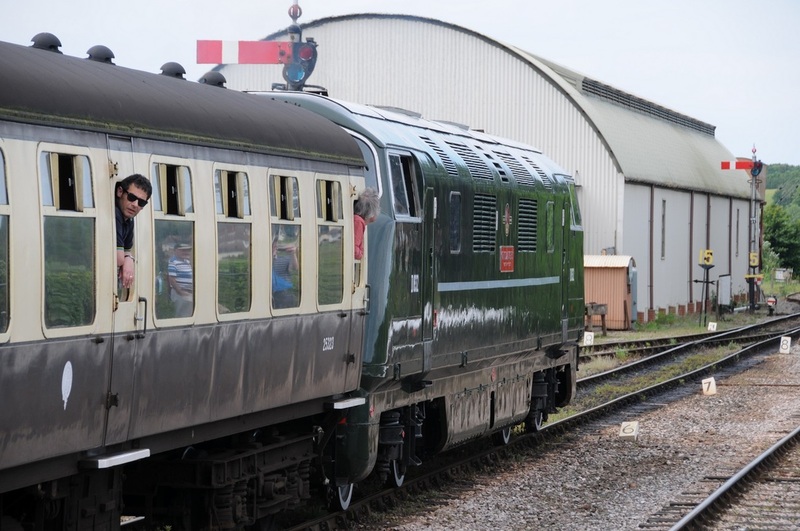 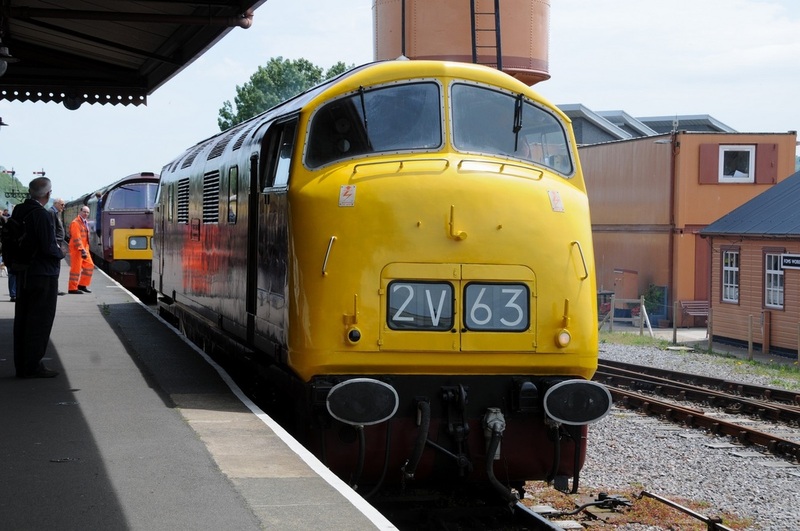 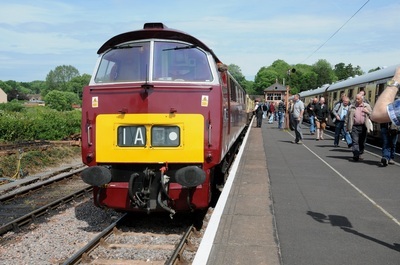 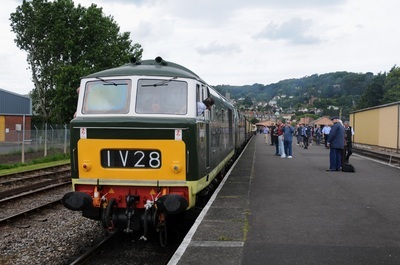 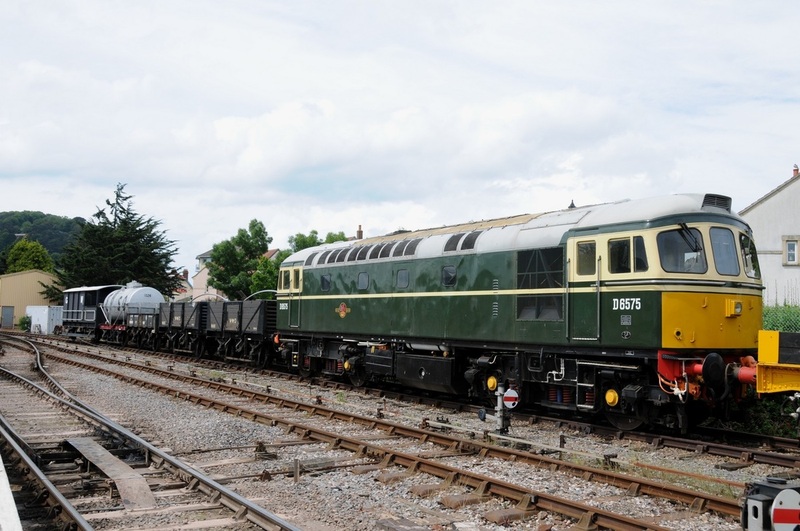 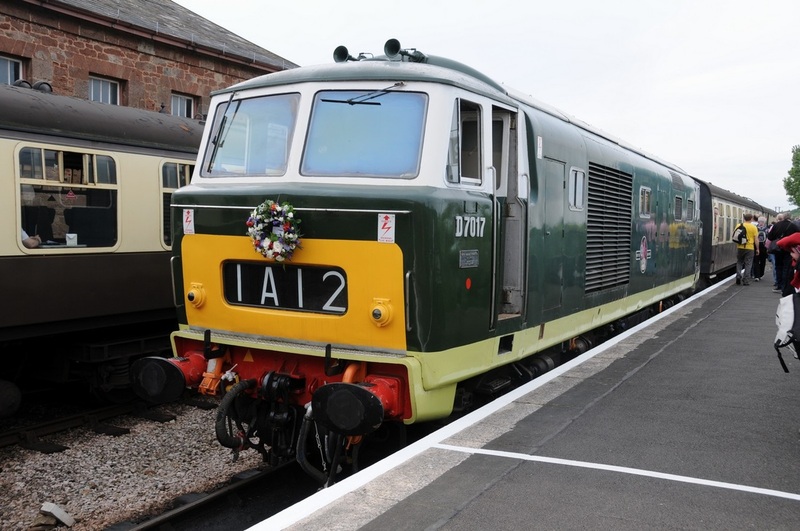 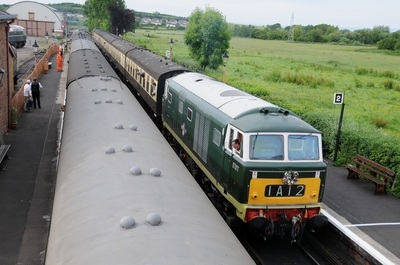 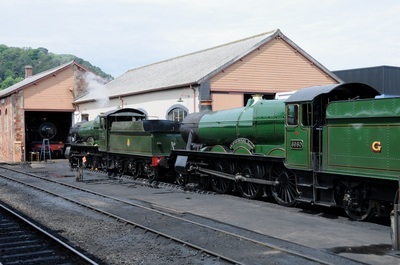 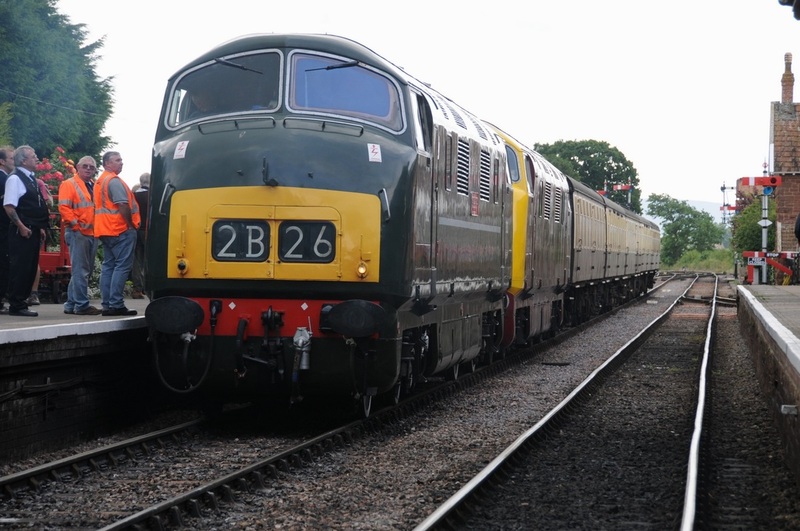 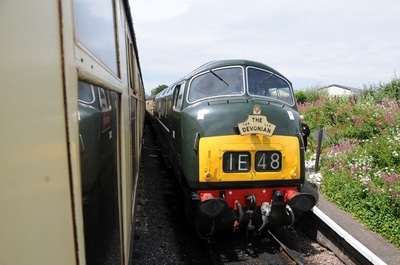 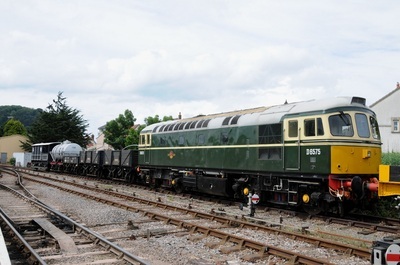 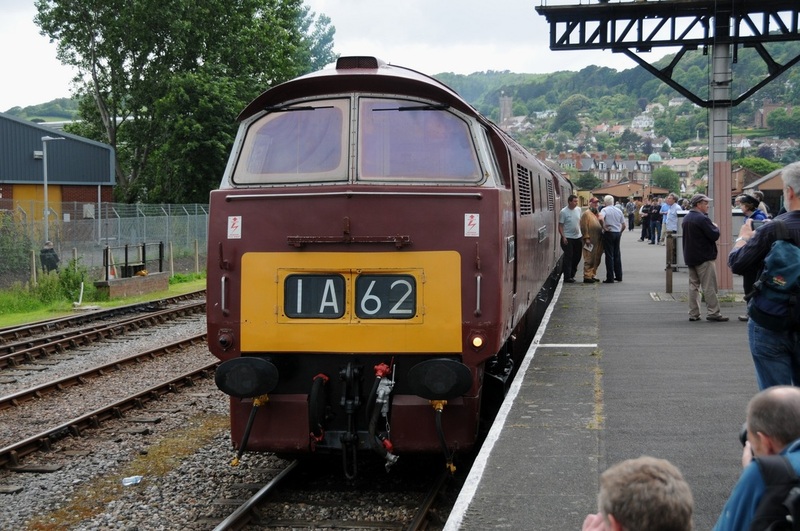 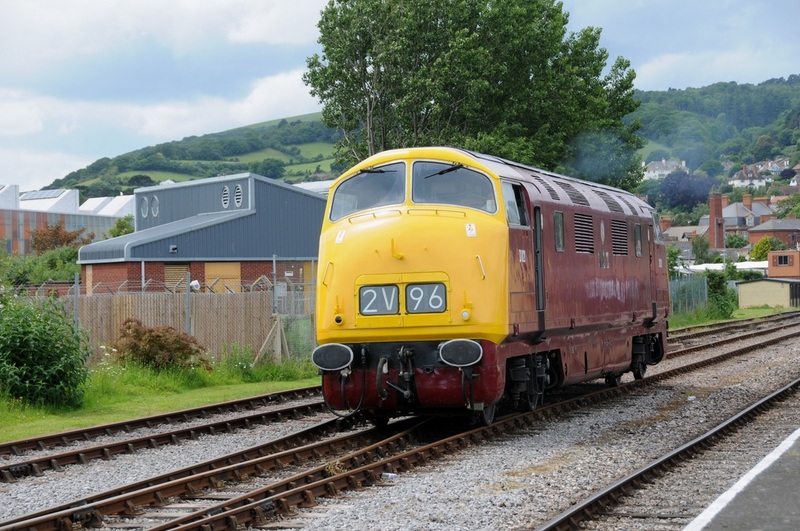 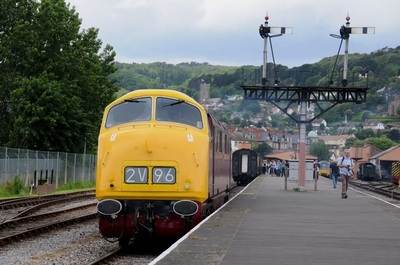 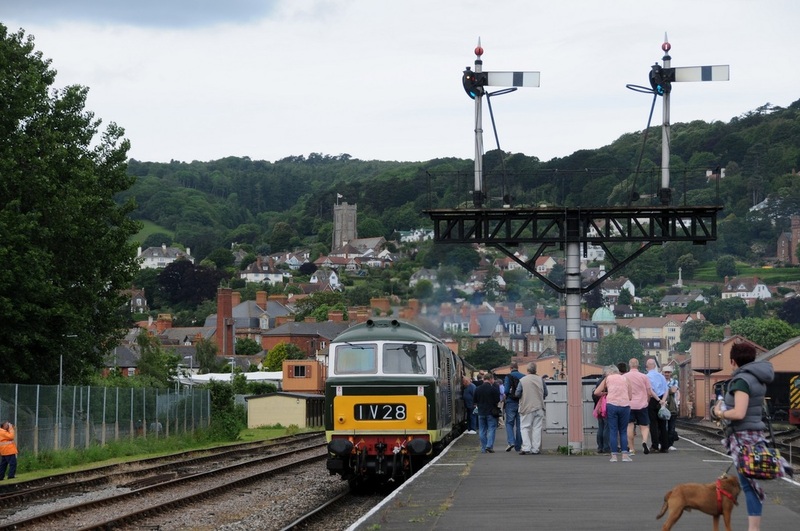 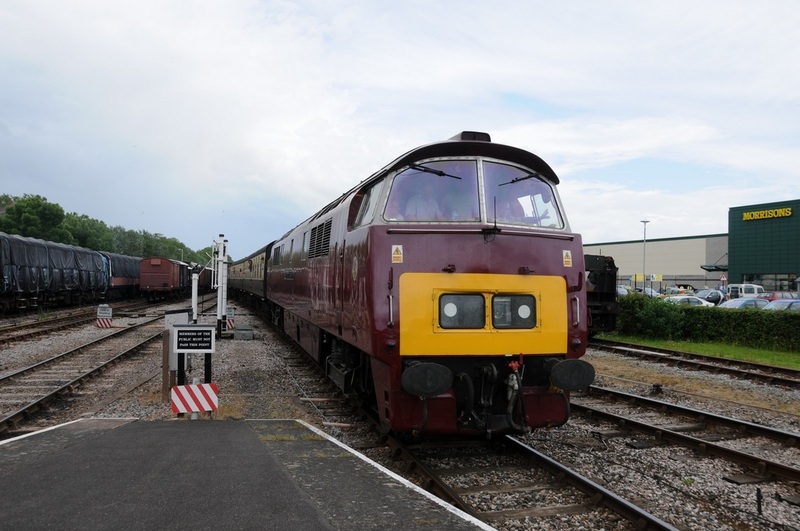 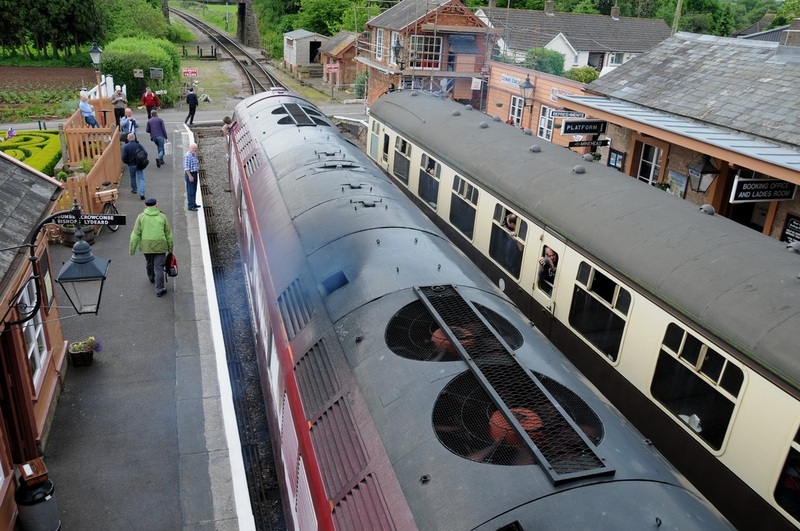 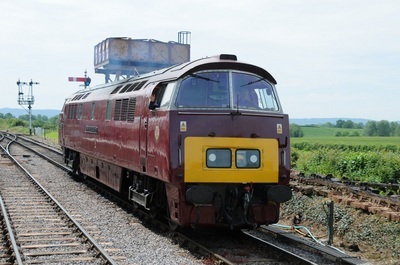 West Somerset Railway held a Mixed Traction Weekend Gala from Friday 6th to Sunday 8th June 2014 with a "Diesels in the South West" theme. Diesel Hydraulics "Warship" Class 42 B-B D821 'GREYHOUND' and Mainline Certificated "Western" Class 52 C-C D1015 'WESTERN CHAMPION' were the visiting locomotives. Here is a collection of photographs taken when I made two visits to the the Event. 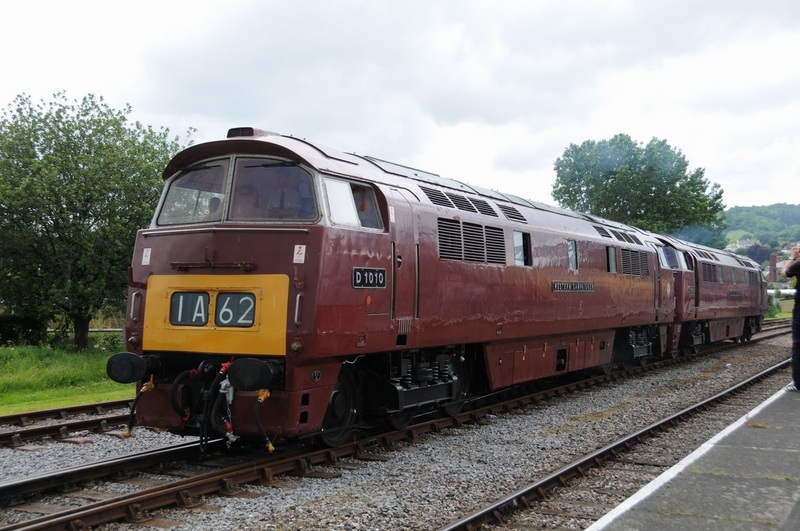 Friday 6th & Sunday 8th June 2014. 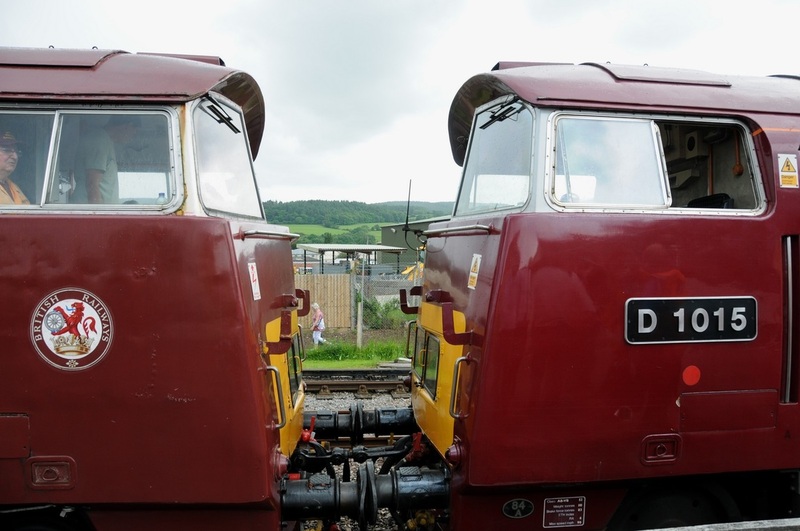 (26 Photos).